I grew up in the town where Johnny Appleseed is buried. Everywhere around the outskirts of town there were small homesteads with small apple orchards. Apples of every color and who knows what type of apple. Some were sweet but most were as tart as they could be. Small apples and large apples. The apples were made into pies, cider, applesauce, Apple butter, and apple jelly. The jars of those jellies and jams were stored down in the cellars. Those homesteads had been abandoned by the time I was a boy but the apple trees lingered on. The trees were gnarled and the fruit were wormy. Many of the jars of jelly were still there amid the rotting timbers. What history those jars could tell us. So I gathered up those apples, worms and all, and learned to use them to make jelly and applesauce. I even tried making the apples into cider using an old grape wine-press. 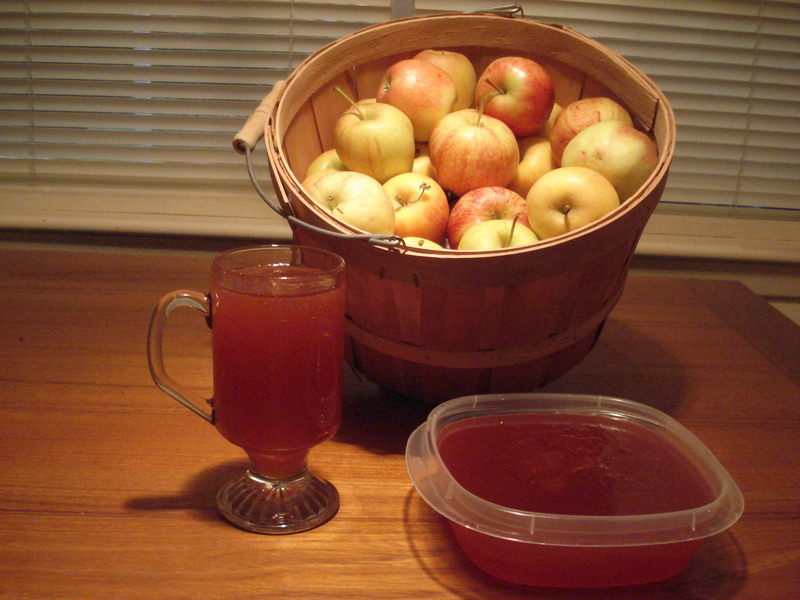 I gave up the cider making but I still love making apple jelly and applesauce. The colors of the fruit and the sweet smell of the apples put a twinkle in my eye and I feel sixteen again. 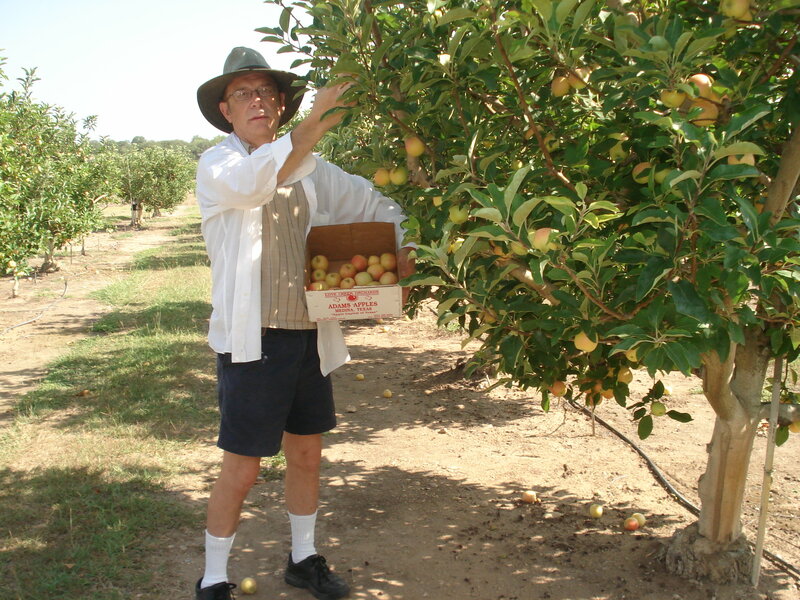 I no longer roam the abandoned farms picking apples but I was able to go out to Medina, Texas to pick Gala apples. The rows of fruit stretched in straight lines down the field, and the trees were short and designed for picking fruit easily. The fruit was uniform in color and there were no half of a worm that worried one where the other half was now. I tried one of those apples and I could just feel the sunshine and rain inside. After we picked and paid for our fruit we went across the road to visit with a friend at his nursery. What a way to spend one’s day. 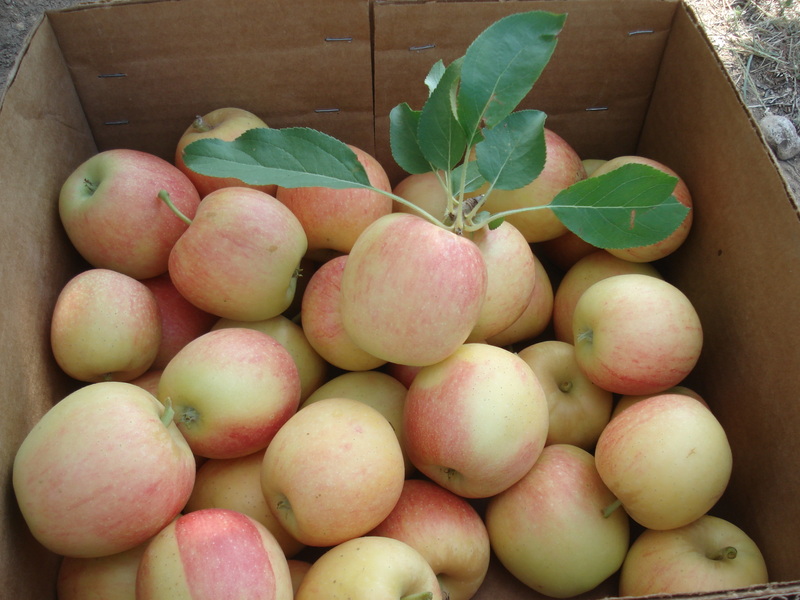 Now, several weeks later I am making apple jelly and applesauce. 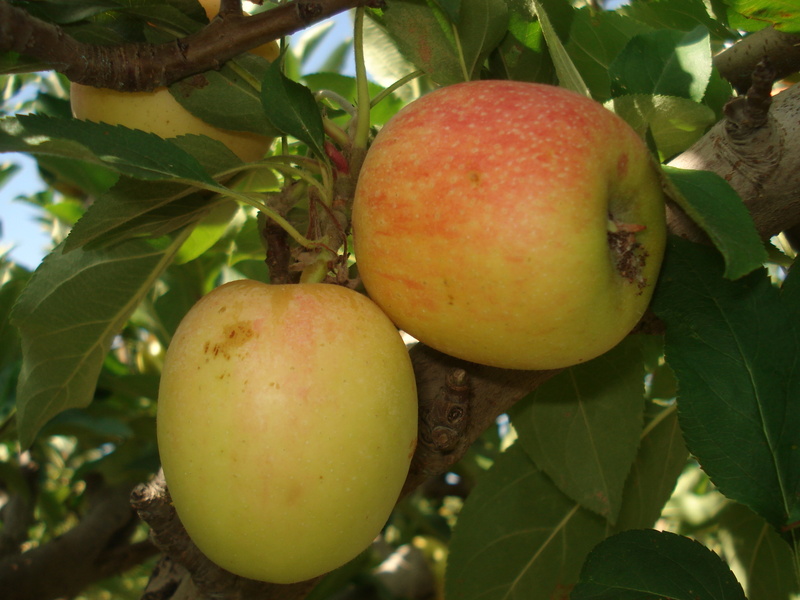 Most of the recipes for apple jelly call for using a certain number of pounds of apples. I have no scale so I decided to use up most of the apples and see how much juice that would make. But I did count 20 cups of chunks of apples. I did not peel them nor remove the core. Next time I would remove the seeds to make it easier in preparing the applesauce. I cooked those apples in 12 cups of water. That water just barely covered the tops of the apples in the pan. I then cooked the apples on high for about 20 minutes until the apples were soft. I then poured of the water through a sieve into a pan. I then put the apples into a blender. I added a little water and then blended away. I then poured the apple mixture into my food mill. I put a sieve under food mill. The mill pushed the pulp through the holes into the sieve but left the seeds and most of the skins behind. I lightly pressed the contents of the sieve so that juice would fall into the pan. The contents of the sieve was ready for applesauce. My wife and my niece liked it just as it was but I prefer mine with a little cinnamon and possibly a little sugar. I then poured the liquid into cheese cloth. The pulp left behind I added to the applesauce. The juice was now ready for jelly making. I added 1/4 cup lemon juice to the apple juice and 1/2 teaspoon butter. While it was at a full boil I added the No sugar-needed fruit pectin. When once more at a full boil I added the sugar. I let it come to a hard boil for 1 minute and then I removed the jelly from the fire. After it cooled I poured it into freezer containers. I was very pleased at the taste of this jelly. Just a hint of cinnamon and a deep red color. When the containers were at room temperature I placed them into the freezer. 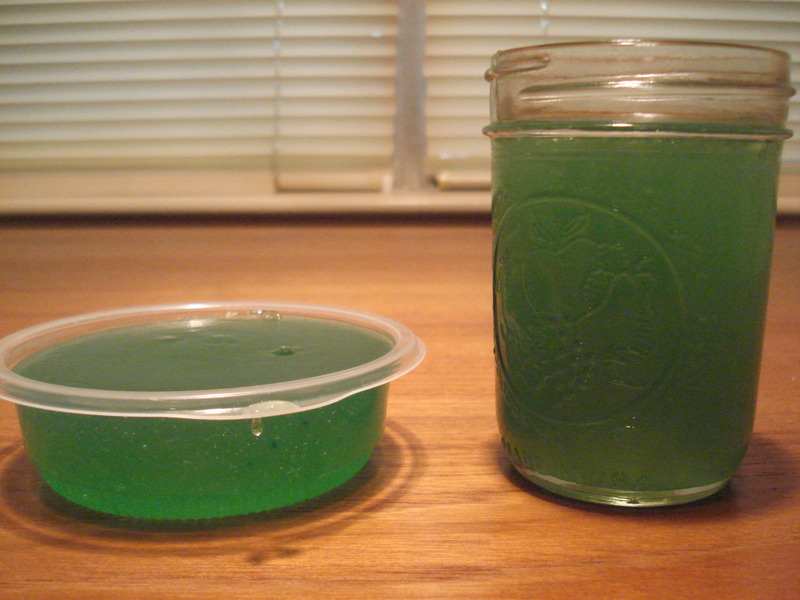 Gallery | This entry was posted in Recipes and tagged Apple butter, Apple Cinnamon Jelly, Apple Jelly, apple picking memories, Applesauce, boyhood memories, freezer apple jelly, green apple jelly, Johnny Apleseed, Texas Apple Jelly, Where to find Texas Apples. Bookmark the permalink.